I love it when children get messy and slimy, and there is nothing more slimy than the insides of a pumpkin. 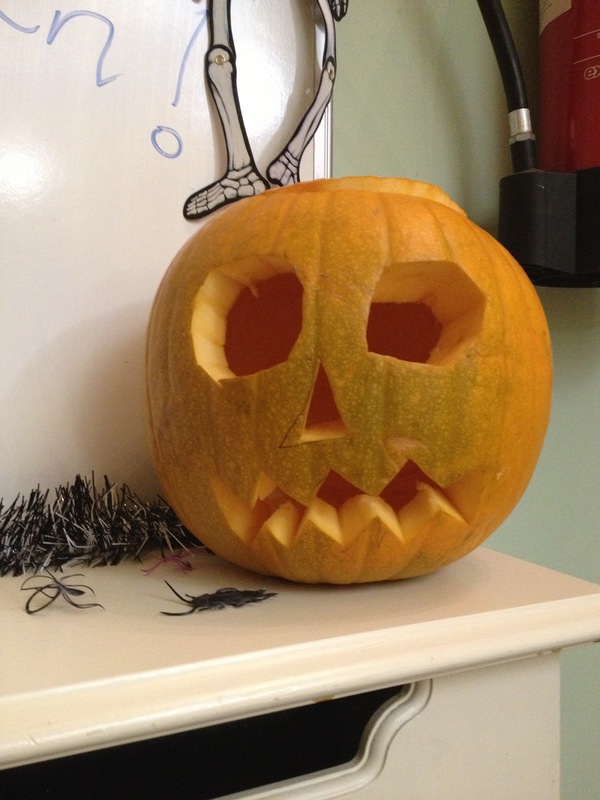 Our Halloween pumpkins are quite the success and the pumpkin masks that the children have made are quite scary. If you don’t believe me, hide in the dark whilst wearing one tonight and see who you can make scream! And what do you do with your pumpkin when it is scooped out? Why you give it to chef to make a special Halloween soup with sweet potato carrots and peppers. Delicious.